Hi, everyone! Happy Valentine’s Day! Whether you’re celebrating with loved ones or rejoicing in the single life, one thing is for sure. Valentine’s Day nail art is fun! I got this gorgeous polish by Pretty Beautiful Unlimited from the January Polish Pick Up. So what is the Polish Pickup? It’s a once a month shop that over 70 indie polish makers create a polish based on a theme that people like you and I voted on. Once the theme is picked, the makers find an inspiration pic and create the polish from there. January’s theme was Mythology. January was supposed to be a no-buy month for me, but damn it, I’d been suggesting Mythology every time and it was finally picked! I’m gonna take a stab at describing this baby, but it’s so complex I will probably screw it up! It seems to be tiny silver holographic flakes with larger flakes and copper and gold shimmers. You can pick the shimmers up a little better in this pic. This polish is 2 coats to opacity with a fabulous formula. How about some Valentine’s Day nail art? I love how this turned out! It’s not in your face Valentines-y with pink and red (which I also love, btw). I used a Born Pretty clear stamper. The plate that had the heart with “Love” on it was Pueen43 from their Love Elements collection (which is yet another thing I love). The other heart pattern was on Born Pretty plate BP-L013. How do I feel about this polish? It’s freaking stunning. It goes with just about everything. Here’s the amazing thing- I scrubbed, reallllly scrubbed, my entire bathroom whilst wearing this beauty and when I was finished I was left with only minimal wear. I couldn’t believe it. Like, some polishes you fart and it chips. Not this one!! If you’re interested in getting it, I suggest joining the Facebook group- PPU BST, which stands for Polish Pickup Buy, Sell, Trade. Everything from PBU is gorgeous. I own a couple other polishes from her, not to mention her nourishing cuticle oils, which I have reviewed here. Check out her shop at https://prettybeautifulunlimited.com/. 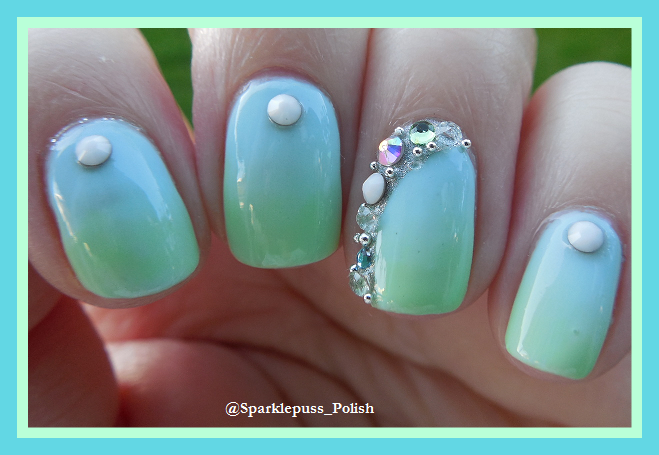 This is definitely a gorgeous polish! Well this was a gorgeous polish to break your no buy on! Love the art! Oh, that looks so lovely on you!